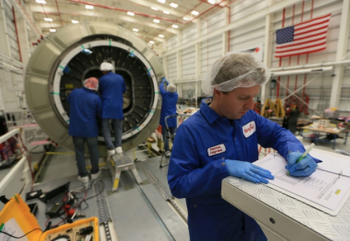 Orbital Sciences Corporation – with their new version of their Antares rocket – will make a second attempt to loft the fourth Cygnus mission to the International Space Station at 18:22 local time on Tuesday. Liftoff, from the Mid-Atlantic Regional Spaceport on Wallops Island, Virginia, was scrubbed for 24 hours due to a boat failing to get out of the Range Safety area in time. The mission, Orbital CRS-3, marks the first flight of the upgraded Antares 130 rocket, which features a more powerful second stage to accommodate larger future payloads. It is also the final flight for the current configuration of Cygnus, with a larger Enhanced Cygnus due to be introduced with the next mission. 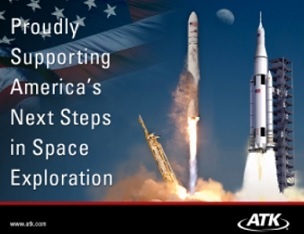 This new version will take advantage of the increased capacity of the Antares 130 in order to deliver a greater amount of cargo to the space station. 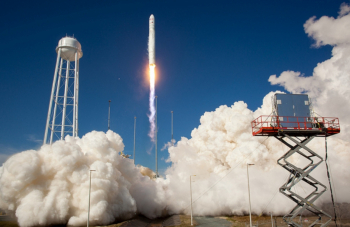 First flown in April 2013, the launch is overall the fifth flight of Orbital’s Antares rocket which was developed specifically to launch the Cygnus spacecraft. 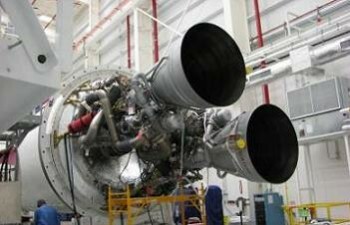 The introduction of the Antares 130 has been planned since the beginning of the program as Orbital ramp up the rocket’s capacity through upgrades to the second stage. 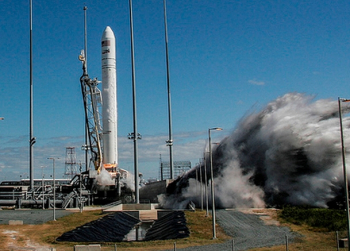 Antares’ maiden flight was a test mission, carrying a Cygnus Mass Simulator and four small satellites. It was followed five months later by the first launch of Cygnus, a test mission under NASA’s COTS program – although the mission did include the delivery of some cargo to the International Space Station. Both of these launches used the Antares 110 configuration, whose second stage was a Castor-30A. For the third and fourth flights, which carried the CRS-1 and CRS-2 missions earlier this year, the Antares 120 was used with a more powerful Castor-30B upper stage. The Castor-30XL stage which will debut on the launch is a stretched version of the Castor-30; extended from 3.5 to 6.0 metres (12 to 20 feet). The increased size allows more propellant to be carried and as a result the rocket’s payload capacity to low Earth orbit has been increased by around 500 kilograms (1,100 lb). The Castor-30 is itself derived from the Castor-120, a civilian version of the Peacekeeper missile’s first stage which Orbital have previously used on Taurus (now renamed Minotaur-C) rockets. The Antares 130 makes use of the same first stage as its predecessors. Of Ukrainian design and based loosely on the first stage of the Zenit rocket, the stage was developed by the Yuzhnoye Design Bureau. It is powered by a pair of AJ26-58 engines, which are themselves reconditioned NK-33 engines left over from the Soviet Union’s cancelled N-1F rocket. The USSR abandoned the N-1F in the early 1970s after all four test flights of a prototype, the N-1, ended in failure. 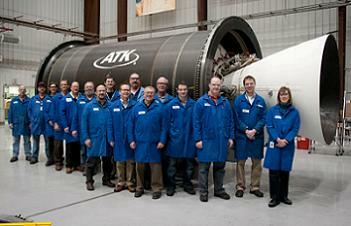 An interstage unit is used to connect the first and second stages and the payload fairing. The Cygnus is a pressurised cargo spacecraft developed by Orbital Sciences under NASA’s Commercial Orbital Transportation Services (COTS) program. In December 2008 it was awarded a Commercial Resupply Services (CRS) contract to conduct eight operational resupply missions to the ISS. The launch marks the start of the third CRS mission, with the Cygnus’ first mission being a test flight for COTS. To date all of the spacecraft’s missions have been successful. Following a test flight of the Antares rocket in April, the first Cygnus launch occurred in September 2013 when the SS G. David Low was launched on a COTS test flight which culminated in rendezvous and berthing with the International Space Station. The successful test flight paved the way for the first two operational missions, conducted in January and July 2014, with the SS C. Gordon Fullerton and the SS Janice Voss. 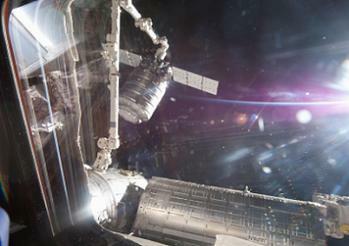 Cygnus spacecraft are named after former astronauts. The CRS-3 spacecraft is named the SS Deke Slayton after Donald “Deke” Slayton, one of the original Mercury Seven who was the first head of NASA’s Astronaut Office. Slayton was the only member of the Mercury Seven not to fly in the Mercury program; his Delta 7 mission was cancelled after he was diagnosed with a heart condition. He eventually flew in 1975 as the Docking Module Pilot on the final Apollo mission, which rendezvoused and docked with Soyuz 19 in low Earth orbit. After retiring from NASA in 1982, Slayton died of brain cancer in 1993. The cargo section of the Cygnus, the Pressurized Cargo Module (PCM), was built by Thales Alenia Space based on the Multi-Purpose Logistics Modules (MPLMs) which the Space Shuttle used for ISS resupply and logistics missions. Designed to carry 2,000 kilograms (4,400 lb) of cargo, the Cygnus will be fully loaded for the mission. An unpressurised service module carries the equipment needed to operate the spacecraft, including a Delta-V engine – derived from IHI Aerospace’s BT-4 – to adjust its orbit. The Delta-V can be operated in monopropellant or bipropellant configurations, burning hydrazine propellant with or without oxidiser. The oxidiser used by the engine is a mixture of nitrogen oxides, known as MON-3. Cygnus also has 32 smaller thrusters to perform small manoeuvres and attitude control. A pair of solar arrays are deployed from the aft end of the service module to provide power during the mission. Along with SpaceX’s Dragon spacecraft, also developed for the COTS program, the Cygnus provides NASA with the ability to transport cargo to the International Space Station. CRS-3 is carrying 2,215 kilograms (4,883 lb) of cargo – with an additional 81 kilograms (179 lb) of packaging. This cargo includes 727 kilograms (1600 lb) of scientific equipment and 748 kilograms (1650 lb) of food and supplies for the crew. Around 637 kilograms (1400 lb) of the mass is taken up by spares and hardware for the station; mostly for the US segment but including around 30 kilograms (66 lb) for Japan’s modules. A further 66 kilograms (146 lb) of hardware is being carried for the astronauts’ EVA equipment. The remaining 37 kilograms (82 lb) of cargo is computer equipment. Like the previous two missions, the SS Deke Slayton is carrying an assortment of small satellites which will be deployed from the space station following its arrival. 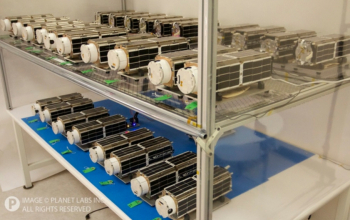 For this mission these payloads number twenty eight; Planetary Resources’ Arkyd-3 satellite, the University of Texas’ RACE radiometer experiment, and twenty six Flock CubeSats for Planet Labs. The Flock-1d satellites, which are three-unit CubeSats built to the same standard as previous Flock missions, bring the total number of Flock spacecraft launched to ninety three – not including the four prototype Dove satellites. Flock is a constellation of small Earth-imaging satellites designed to produce high-resolution images from short-lived low-altitude orbits. The five-kilogram satellites have very short life expectancies, which they make up for by their low cost and mass production. 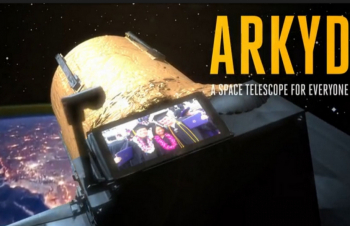 Arkyd-3 is a technology demonstration mission being conducted by Planetary Resources, as the first stage of a program which supporters hope will lead to practical asteroid mining. 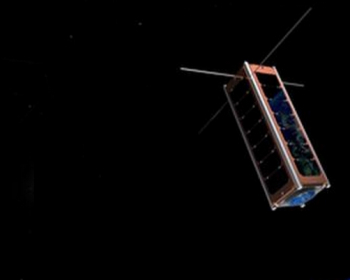 A three-unit CubeSat, Arkyd-3 will test systems intended for the larger Arkyd-100, which has been designed to observe asteroids and determine which would be good candidates for mining operations. 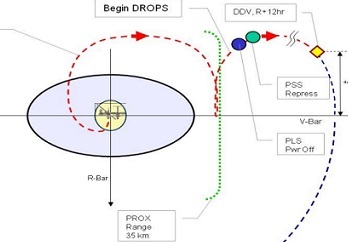 The Arkyd-3 spacecraft does not carry an astronomical payload but instead will be used for systems testing to ensure Arkyd-100 functions correctly once it is deployed. The Radiometer Atmospheric CubeSat Experiment (RACE) is being carried for the University of Texas. A three-unit CubeSat, RACE is a technology demonstration experiment which will test a radiometer for use in future missions. The instrument is calibrated to study the 183 gigahertz spectral line associated with water vapour. RACE is being flown under NASA’s Educational Launch of Nanosatellites (ELANA) program, with its launch designated ELANA VIII. The launch will take place from Pad 0A at the Mid-Atlantic Regional Spaceport on Wallops Island, Virginia. It is the sixth launch from the pad, following the four previous Antares launches and the single launch of Space Services Incorporated’s Conestoga 1620 rocket in October 1995. The Conestoga launch ended in failure with the rocket being destroyed by range safety after a hydraulic failure during first stage flight resulted in a loss of control. The Mid-Atlantic Regional Spaceport is a commercial launch site which also includes Pad 0B, used by smaller solid-fuelled rockets. That pad has been used by Orbital for Minotaur I and V launches, along with Alliant Techsystems’ suborbital ALV X-1 launch in 2008, which was destroyed by range safety early in its mission. 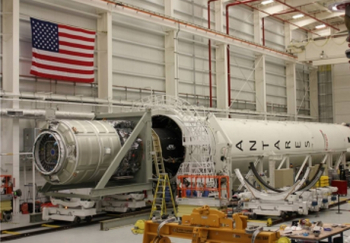 In preparation for the launch, the Antares was rolled to its launch pad overnight Friday. Launch operations will begin with a call to stations three hours and fifty minutes ahead of liftoff, with propellant loading beginning around ninety minutes before launch. During the final stages of the countdown, the spacecraft will transfer onto internal power at around the fifteen minute mark. The rocket will switch to internal power ten minutes later, with the terminal count beginning around three minutes before liftoff. Two minutes before launch the first stage propellant tanks will be pressurised. When the countdown reaches zero, the AJ-26 engines will ignite with Antares lifting off 2.2 seconds later to begin its climb towards orbit. 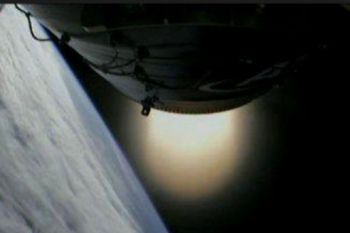 Around ninety seconds into its ascent the rocket will pass through the area of maximum dynamic pressure, or Max-Q. The first stage will burn for three minutes and 54 seconds, propelling the rocket to an altitude of 100 kilometres (62 miles, 54 nautical miles) – the edge of space. Six seconds after the end of the burn, the spent first stage will be jettisoned as the flight enters a coast phase. The remainder of the rocket, consisting of the interstage, second stage, fairing and payload will continue to ascend on a ballistic trajectory. Nineteen seconds after stage separation, the payload fairing will separate from around Cygnus at the nose of the rocket. Five seconds later the interstage will separate from the aft end leaving the second stage and Cygnus to continue their mission. Ignition of the second stage will occur seven seconds after interstage separation, beginning a 166-seconds burn which will place Cygnus into orbit. Two minutes after the end of the second stage burn, or nine minutes and 27 seconds after launch, Cygnus will separate from Antares to begin its mission. The target orbit for spacecraft separation is 207 by 296 kilometres (129 by 184 statute miles, 112 by 159 nautical miles), at an inclination of 51.64 degrees. Following separation Cygnus will deploy its solar arrays and perform a series of tests before initiating a series of manoeuvres to rendezvous with the space station. Burns of Cygnus’ engines will be made to raise its orbit towards that of the ISS, with arrival expected to occur on 2 November. 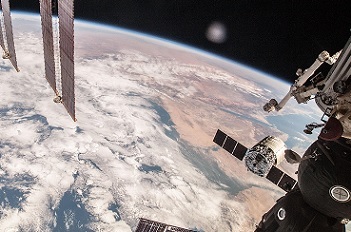 On that day the spacecraft will close to within 12 metres (29 feet) of the outpost from where it can be captured with the aid of the station’s Canadarm2 Remote Manipulator System, which will be controlled by astronaut Barry Wilmore. Once capture is complete the RMS will be used to berth Cygnus with the Harmony module’s nadir port. Following checks to ensure that the spacecraft is secure and there is a pressure seal, the hatch to Cygnus will be opened the day after berthing. Cygnus is scheduled to depart the International Space Station on 3 December, having had its cargo unloaded and replaced with waste and unwanted equipment for disposal. The spacecraft will be unberthed and released using Canadarm2, after which it will begin a period of free flight to conduct engineering tests. With these tests complete, the spacecraft will be deorbited and will burn up as it reenters over the South Pacific. 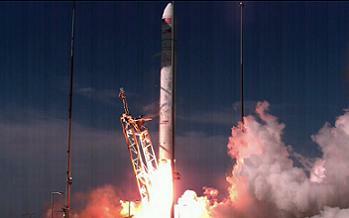 The launch marks the sixty-eighth orbital launch attempt of 2014 and the twentieth for the United States. The third and final Antares launch of the year the Cygnus launch is also the last of the year for Orbital Sciences, who have not launched any of their Minotaur or Pegasus rockets during 2014. Orbital’s next launch is scheduled for 1 April next year, with another Antares 130 carrying the first Enhanced Cygnus mission to the ISS. The next Commercial Resupply Services mission is due to launch in early December, with SpaceX using a Dragon spacecraft to deliver cargo to the space station following launch atop a Falcon 9. Before that Russia will conduct two missions to the outpost; on Wednesday Progress M-25M will lift off carrying cargo, while the manned Soyuz TMA-15M will transport three crew members to the station in late November. Wednesday’s launch, which is scheduled for 07:09 UTC, will mark the first use of Russia’s Soyuz-2-1a rocket on a Progress launch or a mission to the ISS. (Images: via L2’s Antares/Cygnus Section – Containing presentations, videos, a vast set of unreleased hi-res images, interactive high level updates and more, with additional images via Orbital and NASA).